Stanford University School of Medicine investigators have reported success in an early-phase clinical trial examining the safety, tolerability and feasibility of administering infusions of blood plasma from young donors to participants with mild to moderate Alzheimer's disease. There were also some signs suggesting improvements in participants' conditions. Results from the PLASMA trial, short for Plasma for Alzheimer's Symptom Amelioration, will be presented Nov. 4 at the 10th annual Clinical Trial on Alzheimer's Disease conference in Boston by Sharon Sha, MD, a clinical associate professor of neurology and neurological sciences at Stanford and the trial's principal investigator. Sha noted that the finding of safety wasn't surprising, given that blood-plasma infusions have long been in widespread use for other indications and are considered extremely safe. More surprising, she said, were hints of recipients' improvement on tests of functional ability: the capacity to perform basic tasks essential to independent daily life, such as remembering to take medications and being able to pay bills and prepare one's own meals. The PLASMA trial was designed to test a hypothesis advanced by Tony Wyss-Coray, PhD, Stanford professor of neurology and neurological sciences and a senior research career scientist at the Veterans Affairs Palo Alto Health Care System, whose research has shown that factors in the blood of young mice can rejuvenate the brain tissue and improve cognitive performance in old mice. Sha, the clinical core co-leader of the Stanford Alzheimer's Disease Research Center and the medical director of the Stanford Neuroscience Clinical Trials Group, cautioned that these assessments were based on caregiver reports and that the number of participants in the study—18—was small. Further studies on larger numbers of participants would be necessary before conclusions about efficacy could be reached, Sha said. The trial took place at Stanford Hospital and was sponsored by Alkahest, a privately held biotechnology company headquartered in San Carlos, California. Alkahest holds intellectual property associated with the treatment regimen. Wyss-Coray, a co-founder of the company and chair of its scientific advisory board, continues to work full-time at Stanford. He was not involved in the clinical study. The trial proceeded in two stages. In the first stage, nine participants with mild to moderate Alzheimer's disease were given four weekly infusions either of plasma—the liquid, cell-free part of blood—obtained from donors 18-30 years old, or of placebo (a saline solution). Neither the participants nor those administering the infusions knew which of the two infusions any given participant was getting. Then, after a six-week "washout" period, the regimens were reversed: Those initially receiving plasma got four weekly infusions of placebo, and vice versa. "Those participants served as their own controls," said Sha. Multiple tests and questionnaires to ascertain mood, cognition and functional ability of the participants were administered to either participants or their caregivers before and after the first four-week infusion period, and again before and after the second four-week infusion period. The total time elapsing between a participant's first and final visits, including a preliminary screening and a final visit, approached six months. The participants needed to make nearly a dozen round trips to Stanford, accompanied by a caregiver. So, to reduce the travel burden, the investigators decided to modify the design for their next group of nine participants. These newcomers all received young-donor plasma infusions, and they and their caregivers, as well as the administrators, all knew it. This change cut the time between the first and final visits to 10-12 weeks for the second group of participants, and required commensurately fewer trips. These participants, like the first group, received the full battery of mood, cognition and functional-ability assessments. Only a single, minor instance of a trial-related adverse event—excessive itching—occurred. Sha said this wasn't entirely unanticipated, as it can arise as a side effect of the infusion of any blood product. Another participant had a stroke, but this was considered unrelated to the treatment; the participant had received only four infusions of saline and, furthermore, had suffered the stroke at the end of the ensuing washout period, during which no infusions of any kind were administered. An analysis of assessments once all participants had been treated showed no significant changes in participants' mood or their performance on tests of cognition involving tasks such as memorizing lists or recalling recent events, Sha said. These kinds of changes are typically observed only in clinical trials whose durations exceed one year, she added, so the absence of an effect here wasn't particularly unanticipated. But on two of three different assessments of functional ability, participants showed statistically significant improvement—this, despite the trial's small size. "That was surprising, to me," said Sha. "The trial wasn't powered to show efficacy." At first, the investigators suspected that the report of improvements in functional ability might have been driven by the second group of participants, who along with their caregivers and the investigators themselves knew they were getting plasma; this could perhaps predispose caregivers to optimistic reporting. But examination of the data indicated that, to the contrary, it was the first group of participants—who had no idea whether they were getting plasma or placebo—who showed the most improvement in functional ability after receiving plasma infusions. "Our enthusiasm concerning these findings needs to be tempered by the fact that this was a small trial," Sha said. "But these results certainly warrant further study." Alkahest has stated in a news release that based on the safety profile and signals of efficacy seen in the PLASMA trial, it is planning to advance the clinical development of a next-generation, proprietary plasma-derived product for the treatment of mild to moderate Alzheimer's disease. 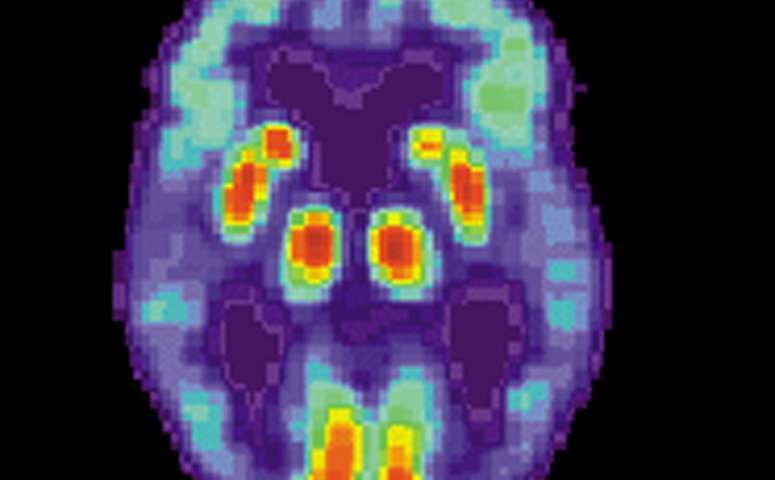 "I'm excited to see that giving repeated infusions of plasma to elderly people with Alzheimer's disease is safe and that we can move forward to larger studies," Wyss-Coray said. "But I'm also realistic enough to know that it is very easy to cure diseases in small animals and a million times more difficult in humans." Could nasal insulin be an effective therapy for Alzheimer's?